SDHC (Secure Digital High Capacity) is an extension of the SD standard which increases card’s storage capacity up to 32 GB. Its family includes SDHC, miniSDHC and microSDHC, and they have a capacity of 4GB to 32GB. It is FAT32 file system. SDHC cards share the same physical and electrical form factor as older cards, allowing SDHC devices to support both newer SDHC cards and older SD cards. For its huge storage ability, SDHC card was widely used to store music, video, photos as well as documents for all kinds of devices, such as digital cameras, camcorders, mobile phones, and portable computers. Famous SDHC card brands including SanDisk, Kingston, A-Data, Transcend, etc. Although it offers convenience for us, there are lees to every wine. Sometimes, we lost data due to bad luck. If that happens, we need to recover SDHC card. Before recovering SDHC, let’s first analyze why we lost data in SDHC card. 1. Accidental deleting: Delete files by right-clicking menu or just press “Delete” button in your digital camera. 2. Format SDHC card: Come across message reads “Media is not formatted, would you like to format now?” and press “format” or disk initialization when digital camera SDHC card is just connected. 3. Improper operation of Cameras or camcorders: you may forget to backup then factory set of device or turn off the storage media during the writing process. Using SDHC card between different cameras and pull out SDHC card while the camera is on will also lead to loss images and video. 4. Other reasons like unexpected devices power off or SDHC was attacked by virus when connected to PC will also loss data in it. This UFUSoft SDHC Card Data Recovery is designed for SDHC card recovery lost/deleted/formatted files. It well performs read-only operations on your SDHC card, don’t move, edit, or delete the data on the card to avoid causing further damage or overwriting the data source. 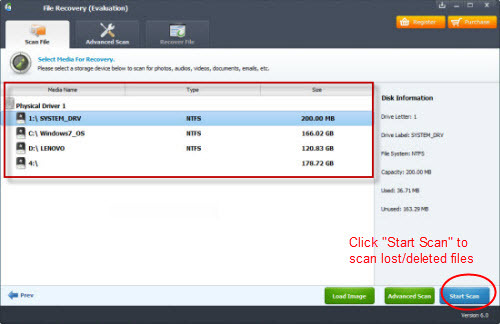 Overall, the software can effectively recover deleted or lost files from SDHC cards of popular brands like Kingston, SanDisk, Transcend, A-Data, Pentax, etc. 1. Download the UFUSoft SDHC Card Recovery and install it on the computer. 2. Connect SDHC card to computer via card reader. 3. Run the software and select the SDHC card to scan for lost files. 4. Preview and recover whatever files you want to get back. This tool offers Mac version to perform SDHC card recovery on Mac. If you are using Mac OS, please get Date Recovery for Mac for help. Before recovery, you should not format the SDHC card, or the format operation will format operation will wipe all your data off the memory card. Many reasons are responsible for SDHC card format error, such as, virus infection, improper operation, powered failure, system shutdown, physical damage, etc. So be careful!